There is a patriotic flavour in the air today! As India celebrates the 60th anniversary of Independence, my thoughts are drawn to Mr Jawaharlal Nehru . Well..yes, India has come a long way-and is "shining" now. 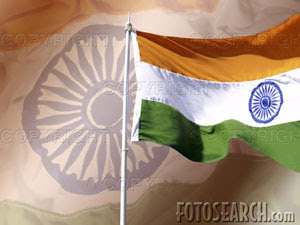 My dreams for a better India? - the teaching profession attracts the best of people. For they are the builders of the future generations, and so ought to be paid the best salaries -in schools and colleges. - the premier education institutes ( IITs, IIMs, Law Schools, et al) talk about the startups they have incubated -instead of the placement salaries. After all, their raw material is the creme de la creme, and the training/orientation is of the highest order-isnt it ironic today they all join the ranks of corporates whose systems are in place? - channelise the youth and their energy to more constructive purposes than being cybercoolies working at odds with their bioclocks. -use our prowess in software and consulting skills to ensure better sharing of natural resources among states, throw up solutions better than the obsolete 'bandhs/strikes'.